HOUSTON - NASA announced Monday the landing site for its Mars 2020 rover mission. 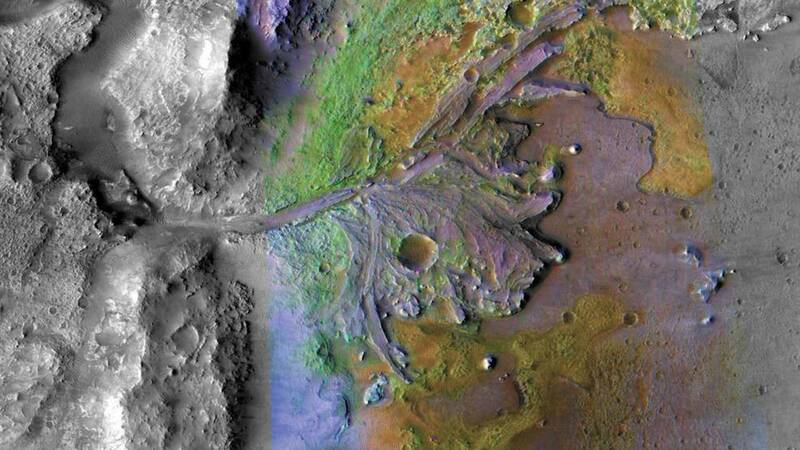 After a five-year search, NASA has picked the Jezero Crater as the landing site for the mission. Scientists say the site is ideal because of its terrain with landforms dating from as far as long as 3.6 billion years ago. The Rover mission is set to launch in July 2020 from Cape Canaveral. NASA says the mission aims to not only seek signs of ancient habitable conditions -- and past microbial life -- but the Rover also will collect rock and soil samples and store them in a cache on the planet's surface. NASA and the European Space Agency are studying future mission concepts to retrieve the samples and return them to Earth, so this landing site sets the stage for the next decade of Mars exploration.